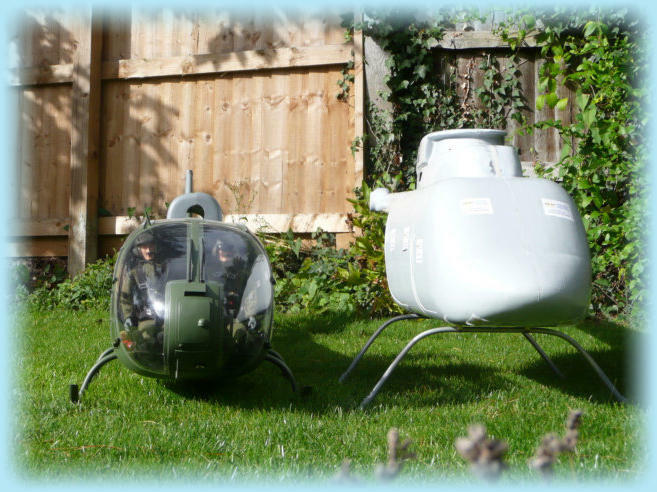 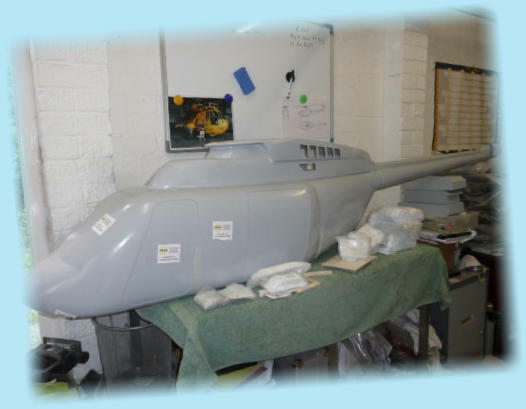 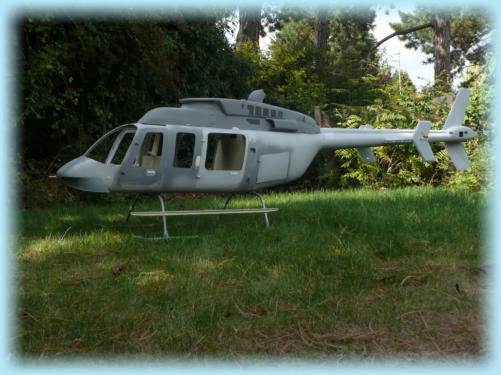 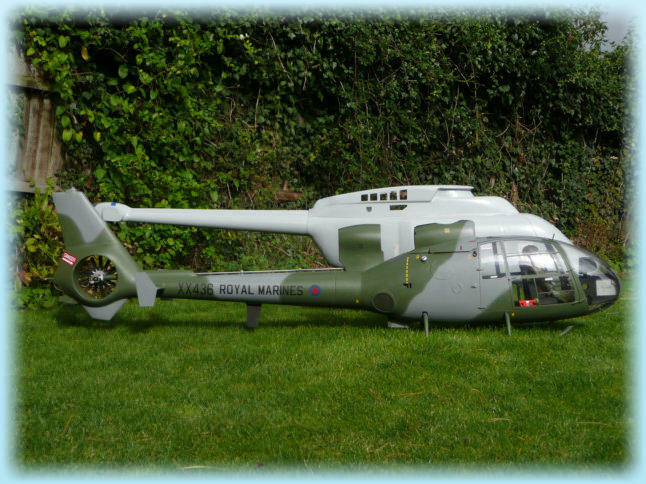 Shown here along side the Cine Scale Gazelle.................... and we thought that was a big model ! 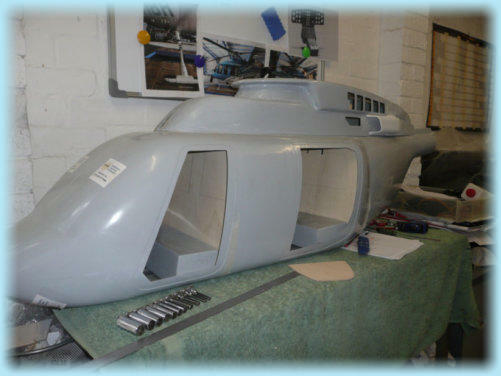 There is such a full scale interior with this kit that I have no idea where I’m going to find a home for the fuel tank ! 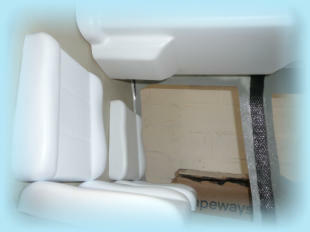 The skids have now been fitted to check all the bulkhead alignment, this thing is so wide we also had to fit a bench extension !!! 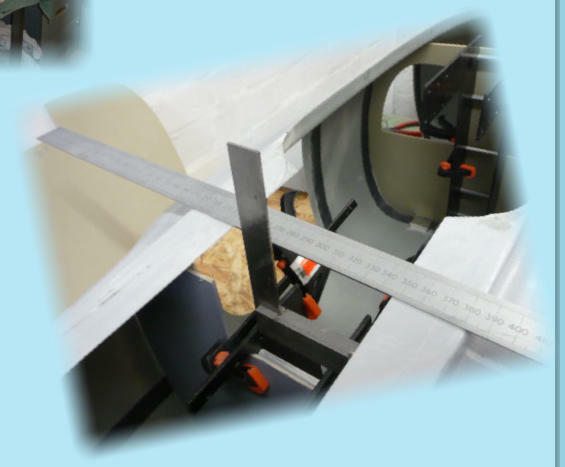 Checking alignment before the bulkheads and lower mechanics frame are bonded in. 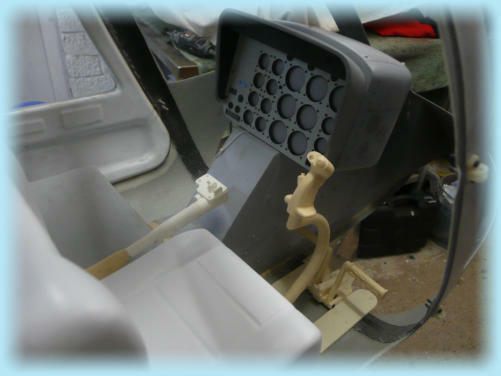 Seat bases held in place with a bit of weight whilst the glue dries. 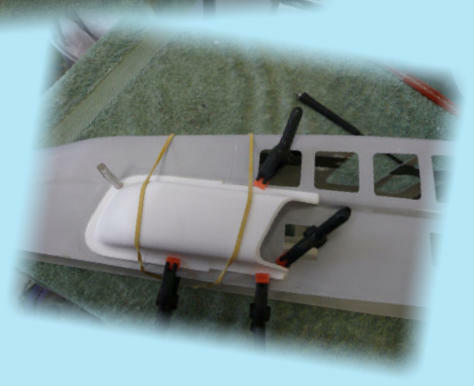 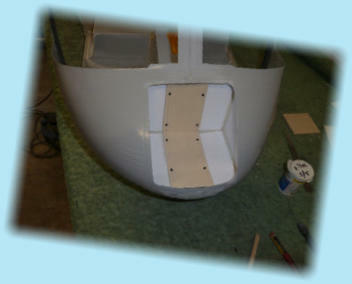 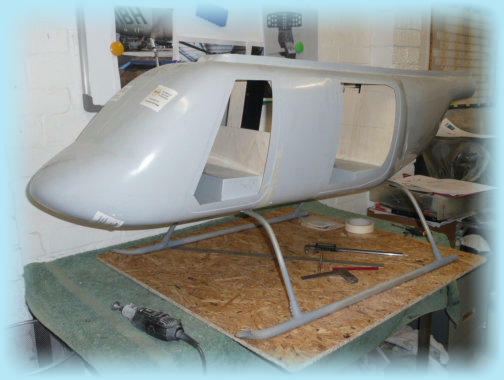 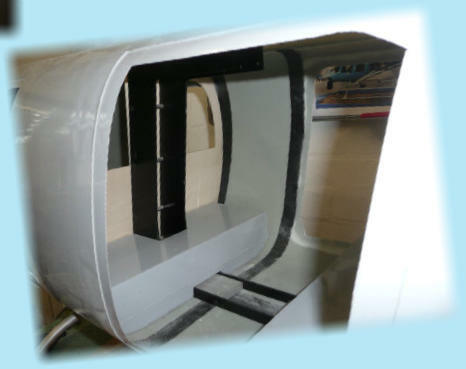 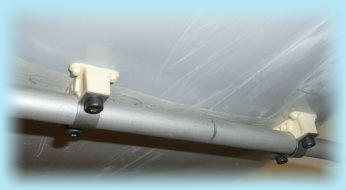 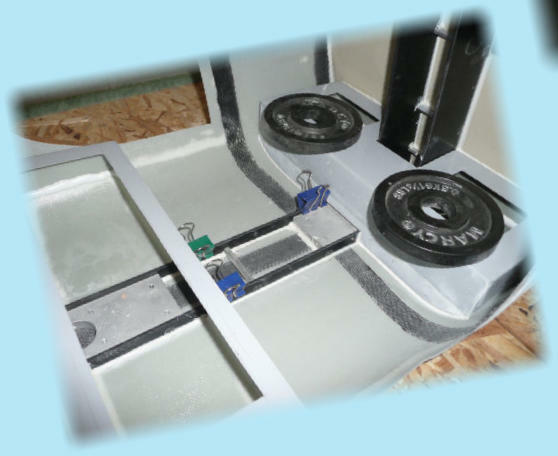 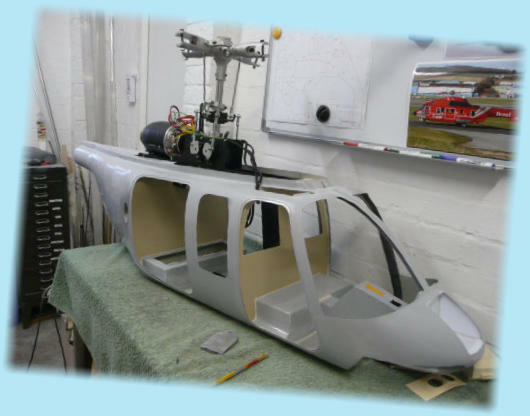 The seat base tops have been made removable to allow fitting of the fuel tanks. 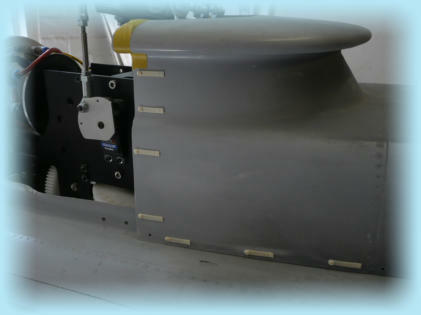 Trial fitting the mechanics prior to sorting out the tail drive. 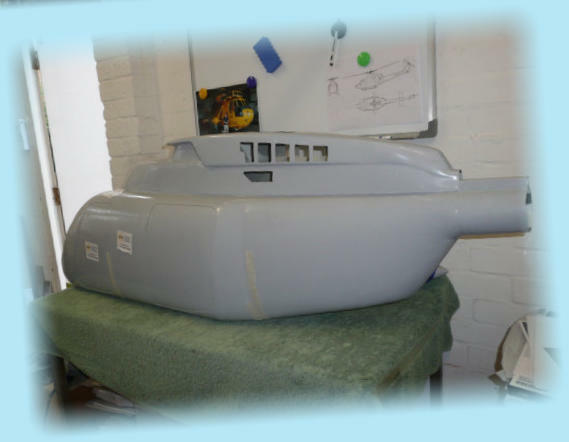 The 407 is now complete and off to the paint shop.